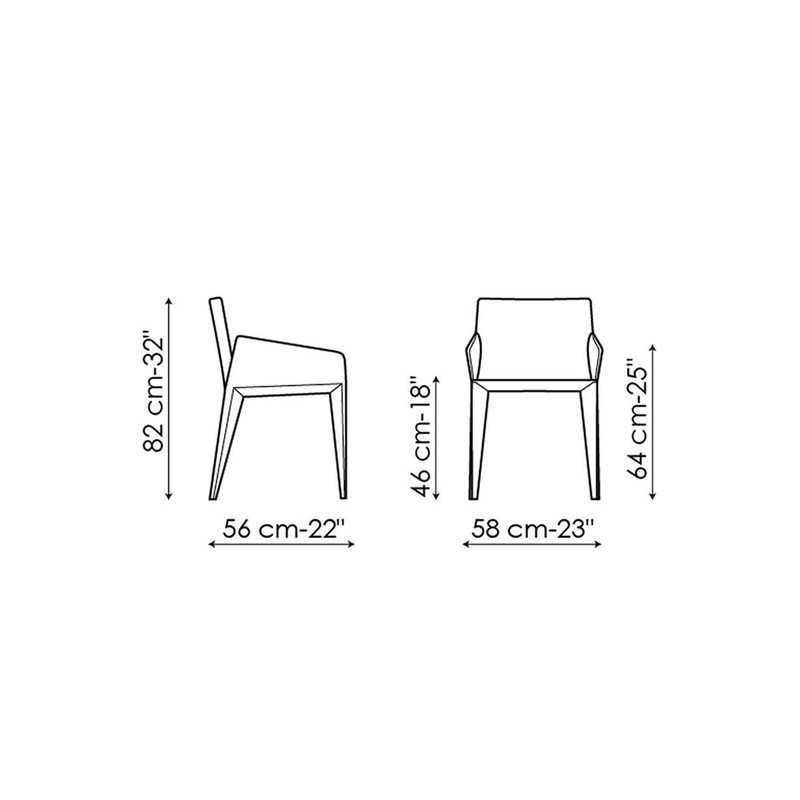 The Miss Filly armchair by Bonaldo: simplicity and comfort in a single seat. A cutting-edge design piece able to enrich your home with good taste, the Miss Filly armchair measures 82 cm in height and 44 cm in width, and it is made of a sturdy steel structure padded in non-deformable rubber and lined in leather. 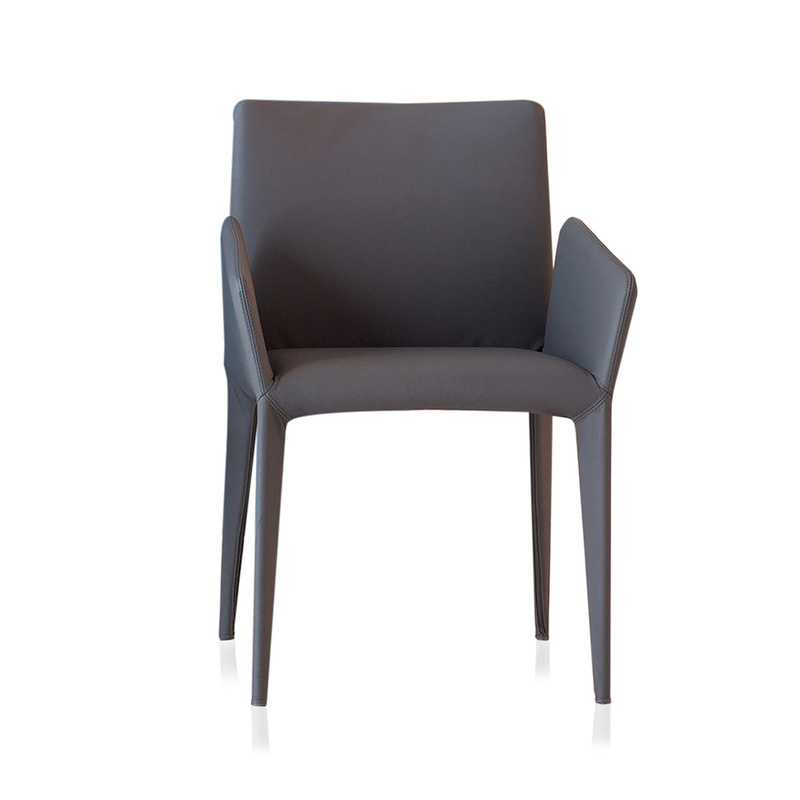 The result of the creativity of designers from the Bartoli Design studio, Miss Filly features simple lines, a squared off backrest, soft seat, and rounded armrests, while the special dove gray colour makes it suitable for any type of décor, easy to match to both wooden and lacquered furniture. Elegant and sober, the Miss Filly armchair combines functionality, comfort and aesthetics; if placed in the living room, it will welcome your guests and ensure hours of relaxation, while in waiting rooms it will keep your clients in great comfort. Minimal-chic when combined with dark furniture, it creates a striking chromatic contrast which can be made even richer by adding soft furnishings such as cushions and curtains in the same dove gray. Last but not least, the versatility of this item makes it perfect even for outdoor areas such as verandas or patios, which can turn into a perfect corner in which to unwind and relax simply by adding two or more of these armchairs, along with a coffee table from the same brand, in such environments. Information: The armchair can be easily cleaned with just a damp cloth.